Well! What an extraordinary privilege. Prudence had always known she was a good cook. But this! This was quite unexpected! Prudence had died, and Saint Michael the Archangel had personally asked her if she would be in charge of making the shortbread. Shortbread in heaven! Fortunately she could remember her grandmother’s special recipe that she had used on earth. And then something even more wonderful happened. Saint Michael the Archangel turned up in the kitchen, again personally, and asked if a piece of shortbread could be delivered to him on a daily basis. 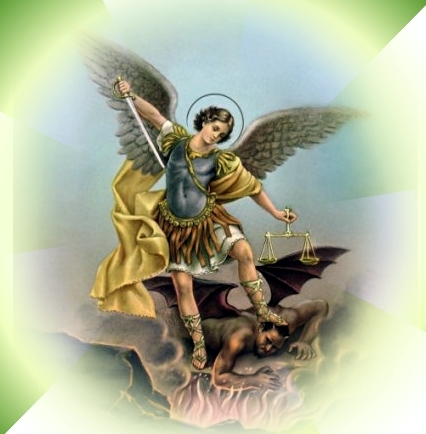 Saint Michael! The most powerful created personage after Lucifer. Michael’s name meant “Who-is-like-God?” Saint Michael was to eat her shortbread. Prudence was ecstatic. A year or two went by. Suddenly, Michael didn’t want his daily piece of shortbread sent to him. He cancelled. Prudence was sad. She wondered why. Plucking up every ounce of courage she approached Saint Michael.